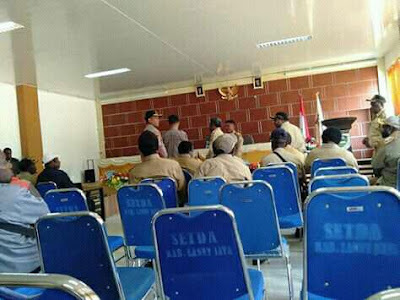 Meanwhile, the Central Papua Regional Police from the Papua Regional Police hunted the OPM TPNPB Armed Group led by Puron Wenda in Lanny Jaya Regency. In fact, the group's pursuit efforts were led directly by the Papua Regional Police Chief, Inspector General of Police. Martuani Sormin. This was said by the Papua Police Public Relations Chief, Commissioner Pol. Ahmad Mustofa Kamal when met by reporters at the Papua Regional Police Headquarters on Wednesday (11/07/2018). Kamal said the pursuit efforts would continue until Puron and his members were caught. "Based on the instructions of the Regional Police Chief, personnel on the ground will try to get Puron and his members caught, either alive or dead," he stressed. "I Write What I Know for My Nation." This means that the Project in Lanny Jaya knows only the TNI / Polri's goals, mission, agenda. In theory, it would be more appropriate to ask the Commander of the 17th Cenderawasih and the Papua Regional Police Chief. Such projects are their domains (TNI / Polri), even they have a theory of how conflicts were created, maintained and raised with massive publications for short, medium and long term goals, "he wrote Sofyan. The TNI / Polri project that is taking place in Lanny Jaya is an order for a secret document that has not been widely known to the people of West Papua. This very confidential document the reader can obtain in a book entitled: "Papua's Special Autonomy Has Failed" (Yoman, 2012, p. 205,206). This book is sold at the Undewerek Book Store Jln. Tabi-Bhayangkara-Kotaraja Luar. This book is very rich in information about the Crime of the Republic of Indonesia. Have this book. The highly confidential State document was issued by the Ministry of Home Affairs DITJEN KESBANG & LINMAS in official note No: 578 / ND / KESBANG / DIV / VI / 2000 dated June 9, 2000 based on the radio gram of the Governor (Caretaker) Head of Irian Jaya District No.BB. 091 / POM / 060200, dated June 2000 and No. 190/1671 / SET / dated June 3, 2000. The main objectives are the Regional Conditioning Operations Plan and the Development of Communication Networks and the Formation of Provinces and Districts / Cities in Irian Jaya ( West Papua). Implementing the Communication and Expansion Network Area Development & Conditioning Operations is the Ministry of Home Affairs, Ministry of Defense and Security, Ministry of Foreign Affairs (specifically for court-based diplomacy operations of the Indonesian National Police, Indonesian Armed Forces (TNI), National Intelligence Coordinating Board (Badan Border) Strategic State Intelligence (BAIS), SPAM, AD MABES, ASTER, KASTER TNI, SINTEL MABES POLRI, KOSTRAD AND KOPASSUS, Muspida of Irian Jaya Province (Papua) and other Provinces. Another document is the National Secretariat General's Jakarta Resilience Council document, May 27, 2003 and May 28, 2003 regarding "Separatist Background Conflict Resolution Strategies in the Papua Province through a political security approach. These two documents were designed in 2000 and 2003, but it is reasonable to the authors that this document is still relevant and part of this operation the Lanny Jaya TNI / Polri Project is being carried out. The grim security and face approach is still experienced and felt by the people and people of West Papua. I Write What I Know For My Nation, West Papua. You agree or disagree that is the right of the readers. This TNI / Polri project saves the author two objectives. Since the author was elected General Secretary of the Central Ministers of the Communion of Baptist Churches in 2008, the author has begun to speak critically about the crimes committed by the Indonesian Colonial State which occupied and colonized the people and people of West Papua. The author speaks in the media, writes books, seminars in West Papua, even abroad. Voice about humanity, justice, human rights, peace and freedom. The author is only one voice for the oppressed and silent. Since the President or General Chairperson of the Central Assistance Body of the Communion of the 1st Papuan Baptist Churches has been elected and appointed in 2002-2007; 2nd in 2008-2012; 3rd in 2012-2017; 4th in 2018-2022, consistently speaking for Baptists and my people West Papua. Because of the consistency of this voice, the TNI / POLRI was disturbing Baptists as a supporting basis for the authors on the grounds of pursuing Enden Wanimbo and Purom Wenda. It is important to know that the author's supporters are not only in Lanny Jaya, supporters of voiceless voices from Sorong-Samarai, from Sabang-Ambon, in the Pacific, Australia, New Zealand and throughout the world. They are all people who have a human conscience, people who believe in God, people who love peace and respect the values ​​and dignity of humans. TNI / Polri officers want to leave what legacy in Lanny Jaya? Do human security forces leave a legacy of values ​​in Lanny Jaya? This question was conveyed because the author knew that you, the TNI / Polri leader would leave Lanny Jaya and West Papua after the end of the term. Writers with my people remain in our Land. Writers and my people will learn what you inherited from the West Papuan people. 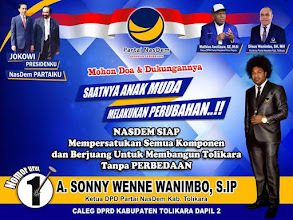 TNI / Polri will convey to the people that the Lanny Jaya area is no longer safe because there are disturbances by OPM leaders Enden Wanimbo and Purom Wenda. Therefore, the presence of the TNI / Polri is needed in Lanny Jaya, so the people must release the land to build the infrastructure of the TNI / Polri. Are the people of Lanny Jaya willing to release the land as their ancestral heritage. Land is their life. The land is the future of the children and grandchildren of the people of Lanny Jaya. Land is an unparalleled value. The land is the MAMA of the Lanny Jaya people. The land is the mother of Lanny Jaya. Lanny Jaya's land is not available for sale and handed over to anyone and for any reason. Because there is no mandapat from ancestors and ancestors to be handed over to foreigners not theirs. God also does not give a mandate to sell land. "The LORD God took the man and placed him in the garden of Eden (West Papua Park, Taman Lanny Jaya) to cultivate and maintain the garden" (Genesis 2:15). The commands of the Lord are clear and firm. Whoever sells and seizes people's land, they oppose the law of the LORD.